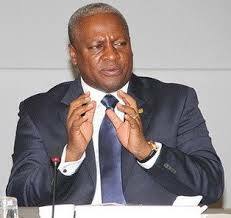 President John Dramani Mahama will on Thursday co-chair a Forum on the 2030 Agenda for Sustainable Development on the sidelines of the on-going World Economic Forum in Davos, Switzerland. The Davos event, which will be attended by world leaders, will launch the new SDG Advocacy Group appointed only this week by the UN Secretary General, and will set the tone for a strong level of global engagement for the Sustainable Development Goals (SDGs) and the Group’s future activities. President Mahama and Prime Minister Erna Solberg of Norway are co-chairing the 16-member SDG Advocacy Group put together to support the Secretary-General in his efforts to generate momentum and commitment to achieve the SDGs by 2030. A statement from the Flagstaff House Communications Bureau said President Mahama would leave Accra on Wednesday and return on Friday January 22. Accompanying the President is the Minister for Foreign Affairs and Regional Integration, Hanna SErwaa Tetteh (MP).